OVER 100 Jet skis departed from Patterson River on Sunday to ride down the Mornington Peninsula in protest of recent council push back against the sport. The riders left at a little after 10am, and spent the day navigating the coast line right up to their final stopping point in Rye. 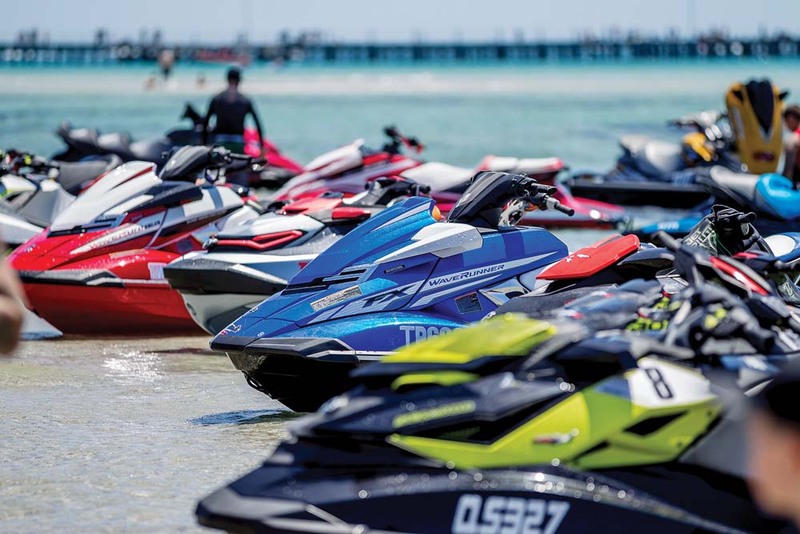 The ride was organised by Victorian Jet Ski Club president Jimmy Chaanine, who issued a passionate plea to a group of nearly 3000 fellow jet ski enthusiasts on Facebook Live prior to the event. “Speaking to a few of the boys this morning, I think it’s time we put out foot down and show that its a very small minority that are ruining the sport. Whether it’s jet skis, motorbikes, dirt bikes, or cars, there’s always going to be that minority. We’re going to show them that the majority are respectful. The majority are family people. The majority love this sport. We need to get out there and show them that it’s only a small minority [that do the wrong thing],” he said. “They’re all singing and crying and throwing petitions around but we’re going to show them this Sunday. “They want to push us out of the car parks, they want to push us down further and further, and they want to have all these swimming zones. It’s time that we stand up and show them that enough is enough, you’re going to get idiots no matter what sport you do. Jet skis have recently been targeted by the Mornington Peninsula Shire in a push for increased safety measures on peninsula beaches. Mornington mayor David Gill said the enforcement of hoon legislation on jet skis was “not satisfactory or effective in addressing public safety concerns”. “We have heard [at public meetings] from the community and now need action from the state government and other authorities to protect the amenity and safety of all users of our coastline,” Cr Gill said. “In order to do this we need increased surveillance, patrolling and enforcement of personal water craft along the peninsula coastline. “Relevant authorities should not ignore this problem any longer. We need a solution so that children and others feel safe and also to protect dolphins and other wildlife”. Water Police issued 120 infringements of up to $806 for marine safety offences in the eight days from 27 December. “About 110 jet skis turned up. It has popped up from all the negativity there has been around jet skis, but we’re all a good bunch of club members. 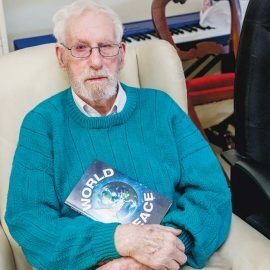 We needed to get out there and make our voices known,” he said. Mr Chaanine said “there’ll be another meeting between us and council” to help bring the Jet Ski Club onto the same page as Council.